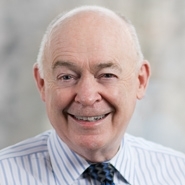 Principal John Cruden (Washington, DC) will deliver the keynote address at the International Bar Association's Biennial Conference of the Section on Energy, Environment, Natural Resources and Infrastructure Law (SEERIL), taking place will take place in Lisbon, Portugal, from April 8 to 11. The IBA's Biennial SEERIL Conference covers the biggest legal issues and challenges facing the natural resources, energy, mining, oil & power, environmental law, water, and international construction industries. John's keynote address will take place from 9:20am to 11:30am (WET) on April 9.